hearing how Jesus is the way God satisfies that spiritual thirst. All of these become “seeds” that the Lord uses in the drawing process. I’ve written about this definition before. See these articles: What is Evangelism? This definition of evangelism has guided me since the early part of the 1990s. I have chosen to live it out in my own personal lifestyle of evangelism. Evangelism involves me telling the first hand stories of God’s activity in my life. In the course of doing that, I can talk about how I started my relationship with Christ and how my friends can do the same. A stricter definition of evangelism would focus exclusively on the presentation of the good news of Jesus Christ. In this view, all of the process leading up to the sharing of the gospel would be “pre-evangelistic” seed planting. “Evangelism is an event and not a process. We are to do the work of an evangelist. The definition of evangelism has two main parts: information and invitation. One part without the other is out of balance. One should not think of presenting an invitation without any information. And likewise, providing only the information without an invitation to trust Christ will leave the listener frustrated and still unsaved. On the one hand, I agree with his definition of evangelism. A strict biblical interpretation of meaning of evangelism would be the actual proclamation of the gospel. 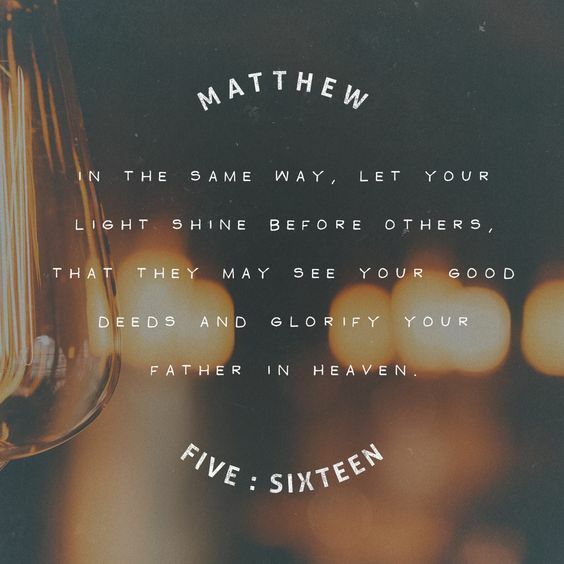 On the other hand, I would see all the appropriate activity and conversations leading up to that particular moment as part of the evangelistic process as people walk through stages of their journey to Christ. It’s a slight difference of nuance. 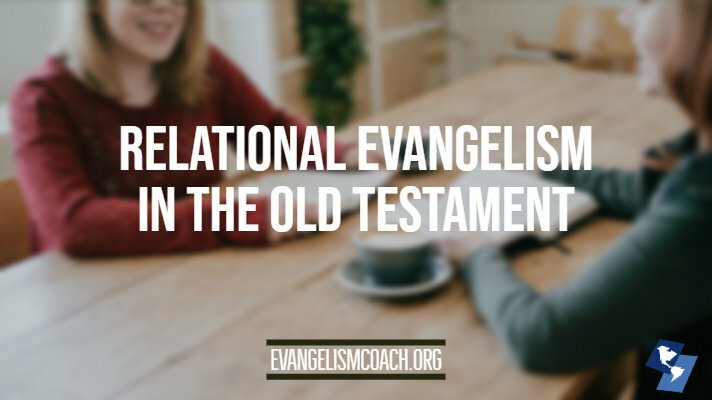 Before getting to some Old Testament passage, I need to share my perspective on relational evangelism. The relational evangelism style focuses on doing good and living good, so that your lifestyle attracts spiritual curiosity. It is living in such a way (actions) and speaking regularly (Words) that your friends know you are an approachable Christian they can talk over their own spiritual issues. In one sense, evangelism in the strict sense is not seen in the Old Testament. Since the message of evangelism is Jesus centered, you’ll not find evidence of such in the Old Testament, which only foreshadowed Christ. However, we can see that the covenant people were to be active witnesses of their faith. They were to live out their faith and tell stories of all that God had done. The exhortations that speak to me the most are found in the Psalms. The people of Israel were to tell of the goodness of the Lord. 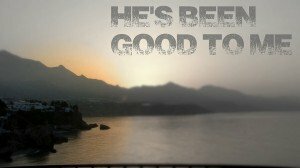 I see where believers were to talk about God’s goodness and faithfulness. The Psalms are full of summaries of what God has done in history so that people could remember the stories. I would argue that all of this is a predecessor to relational evangelism we practice today. 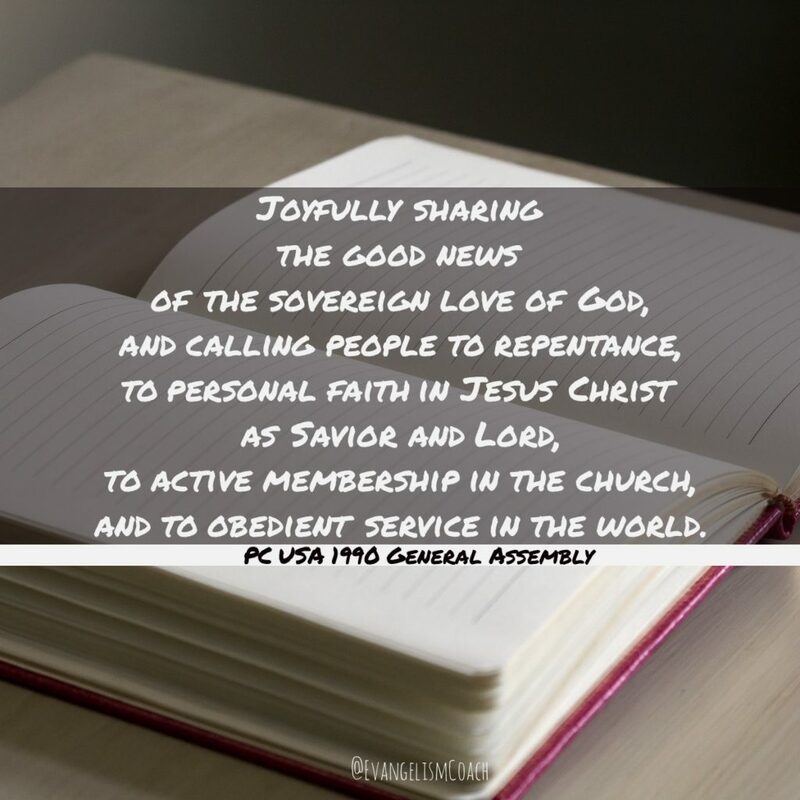 The members of the covenant community were called to talk about their faith with their friends. Think back over the last 30 days. How have you seen God’s kindness at work in your life? With whom can you share a story this week?